Imperial Beverage - Byce & Associates, Inc.
Design Program: Byce & Associates, Inc. provided Civil, Architectural, Mechanical, Electrical and Structural Engineering services for the renovation of building number 4 for a tenant fit-out for Tire Wholesalers Company Inc. (TWI). TWI will be leasing the 154,000-square foot space for the shipping and receiving of tires as a wholesaler. There will be approximately 20 employees occupying the space among two shifts with loading and unloading of tires using turret trucks and order pickers provided by TWI. 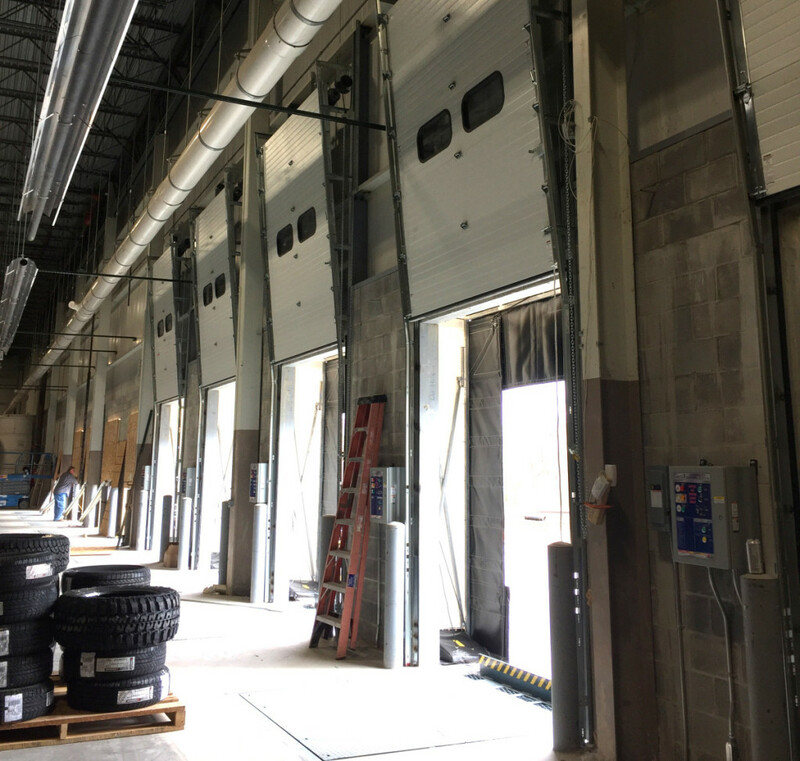 The project included renovations to the shipping and receiving area, fire separation between existing adjoining buildings, restroom areas new site work, and mechanical and electrical systems. In order to provide the new tenant space in building number 4, the existing separation between buildings was required to be converted into a true fire barrier condition complete with spray fire proofing on exposed building systems. Due to the new use of the space, the shipping/receiving area required the addition of 10 new recessed docks along the south end of the existing building. This required modification of the existing foundation systems and extensive site work along the south face of the facility. Restrooms were renovated to comply with all ADA requirements and new male restrooms were provided to address tenant staffing concerns. 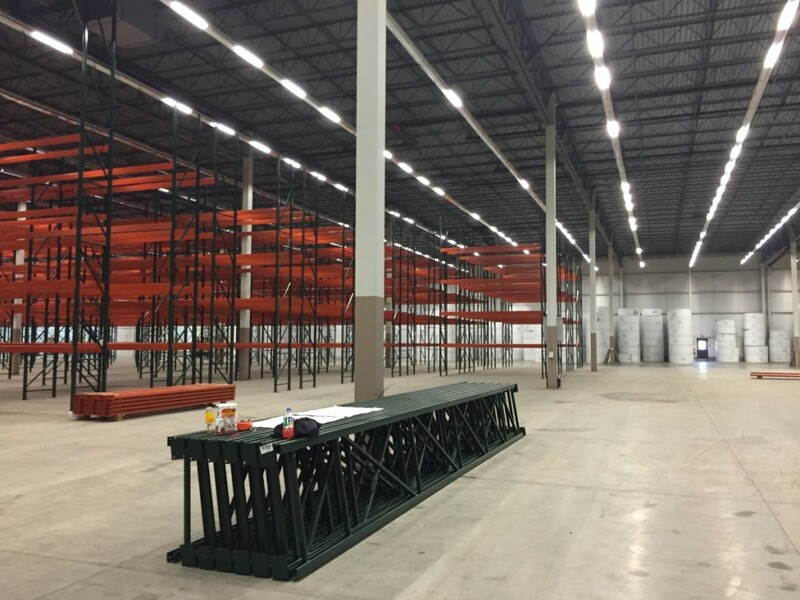 New LED lighting was provided throughout to coordinate with owner racking and provide future cost savings for the tenant. 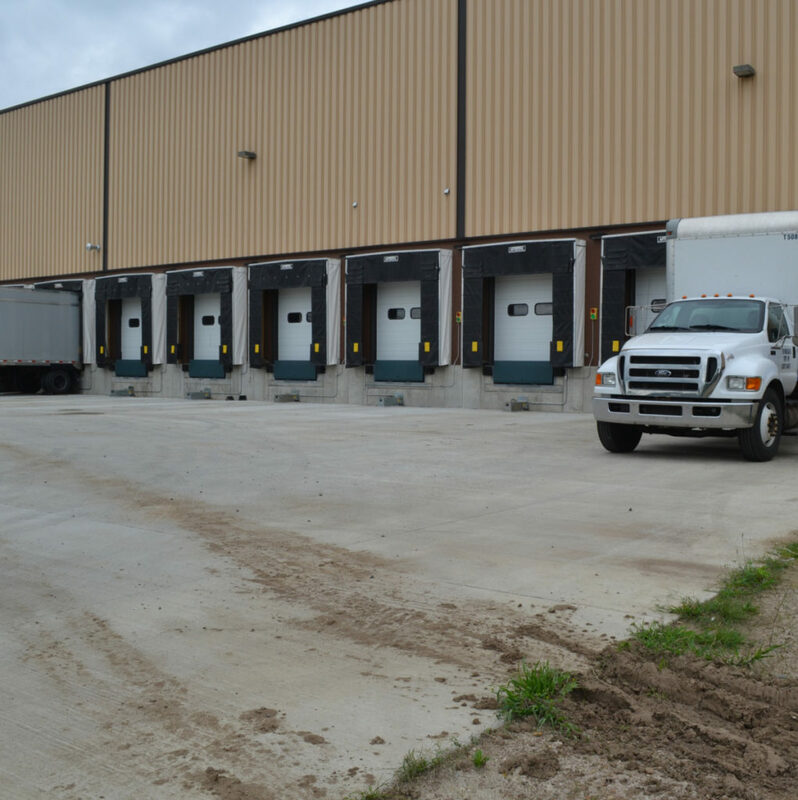 As a result of adding a new shipping/receiving focused tenant to an existing multi-tenant facility, several site modifications were required. Dedicated parking areas, new truck staging areas, and new truck loop roads were provided to simplify traffic flow within and around the site. All modifications were designed to enhance safety and security to all building tenants.